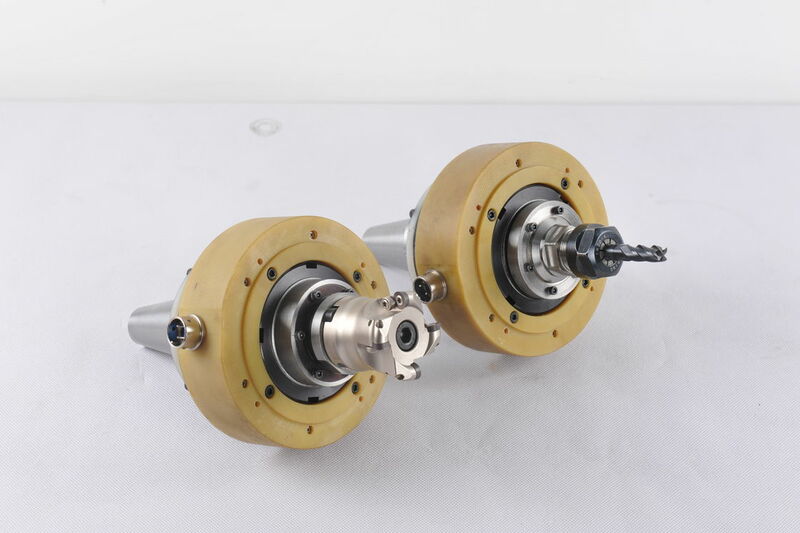 Ultrasonic Machining also known as Ultrasonic impact grinding is an operation that involves a vibrating tool fluctuating the ultrasonic frequencies in order to remove the material from the work piece. The process involves an abrasive slurry that runs between the tool and the work piece. Due to this, the tool and the work piece never interact with each other. The process rarely exceeds two pounds. 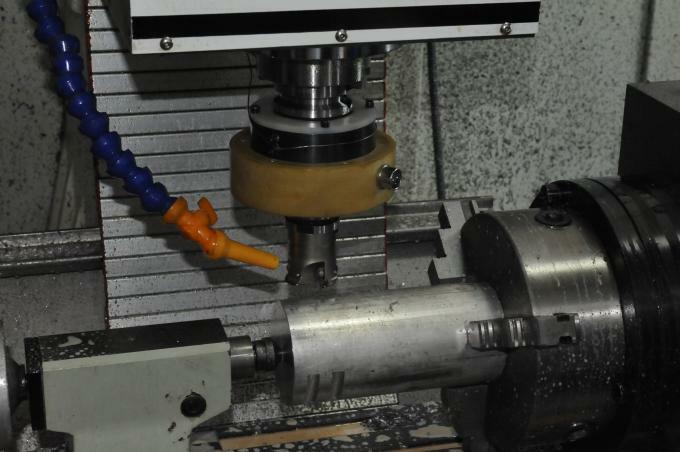 Ultrasonic machining, or strictly speaking the "Ultrasonic vibration machining", is a subtraction manufacturing process that removes material from the surface of a part through high frequency, low amplitude vibrations of a tool against the material surface in the presence of fine abrasive particles. The tool travels vertically or orthogonal to the surface of the part at amplitudes of 0.05 to 0.125 mm (0.002 to 0.005 in.). The fine abrasive grains are mixed with water to form a slurry that is distributed across the part and the tip of the tool. Typical grain sizes of the abrasive material range from 100 to 1000, where smaller grains (higher grain number) produce smoother surface finishes. Ultrasonic vibration machining is typically used on brittle materials as well as materials with a high hardness due to the micro-cracking mechanics.